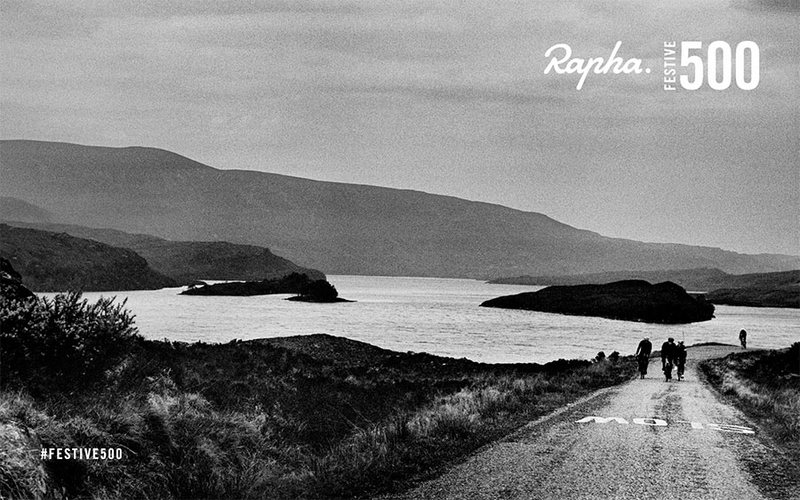 Rapha challenges you to ride 500km on the eight days between Christmas Eve and New Year’s Eve. Join tens of thousands of riders around the world in getting up off the sofa and onto your bike, and send us your stories to win amazing prizes. Give your legs the best gift this holiday season with the Rapha Festive 500. 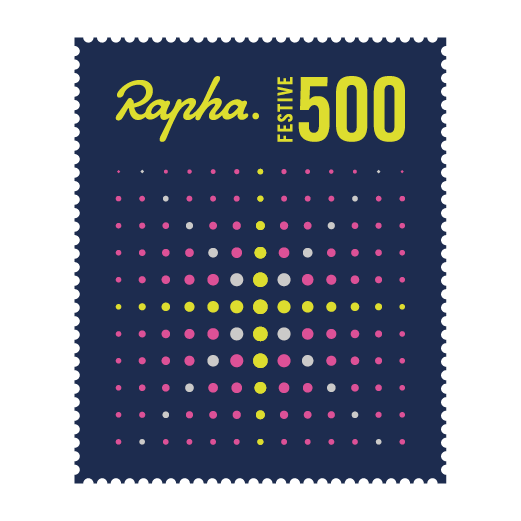 All riders who complete the challenge can register to receive a Rapha Festive 500 woven badge (roundel) to commemorate their achievement. All finishers and those submitting entries for the grand prizes must submit their details by 14th January 2017. Best Story (Spirit of the Festive 500) - A bespoke bike frame built to your specifications. Best Film - A place on the Rapha Travel Randonnee Alps 2017 trip and the chance to make the latest Rapha Travel film. Epic Failure - A Wahoo cycling bundle with bike computer, heart rate monitor, and speed and cadence sensors. You may enter the Skill Challenge by going to the Site on or before 12/31/2016, clicking on the corresponding Skill Challenge URL that will direct You to the Skill Challenge landing page, where You will be entered into the Skill Challenge by clicking on the Join button. Starting from the day the Skill Challenge begins on 12/24/2016, you have until 12/31/2016 to ride 500 km. Each activity (Run or Ride) must be logged on the Site and cannot be inputted manually. For more information regarding how to log activities on the Site, please see Strava’s How It Works page (http://www.strava.com/how-it-works). If You successfully log ride 500 km between 12/24/2016 and 12/31/2016, You will be a prize winner, subject to Sponsor’s verification. Any form of entry and participation in the Skill Challenge other than that described herein is void. The best story prize winner will win a bespoke bike frame. (Approximate Retail Value: £3000). The best film prize winner will win a Rapha Travel trip. (Approximate Retail Value: £4050). The epic failure prize winner will win a Wahoo cylcing bundle. (Approximate Retail Value: £300). Total ARV of all 3 prizes: "£7350". Sponsor will announce the potential winners of the Skill Challenge within one (1) week after the conclusion of the Skill Challenge on 12/31/2016. All potential winners will be notified via the email address associated with the potential winner’s account and will be posted on Sponsor’s Site ( https://www.strava.com/challenges/rapha-festive500-2016). Prizes will be deemed to have been won when all conditions in these Official Rules and accompanying Terms (http://app.strava.com/terms) are met. To obtain the names of the winners, any person may mail a self-addressed, stamped envelope after 30 days from the conclusion of the Skill Challenge to Rapha Attn: Winners’ List. Requests must be received no later than three (3) months after the conclusion of the Skill Challenge. The sponsor of the Skill Challenge is Rapha. If You do not wish to receive any further notices from Rapha regarding future promotional offerings, send Your name and address to: Rapha HQ. Attn: Opt-Out. You have not yet won a prize. The actual odds of winning any prize will depend upon an entrant’s ability to complete the Skill Challenge. Skill Challenge ends on 12/31/2016. See Official Rules above for entry requirements and complete prize restrictions. Sponsored by Rapha HQ.